Author Information: Mirko Farina, King’s College London, mirko.farina@kcl.ac.uk. Farina, Mirko. “Exploring the Concepts of Science in 166 Pages: Reviewing Nigel Sanitt.” Social Epistemology Review and Reply Collective 8, no. 4 (2019): 28-33. 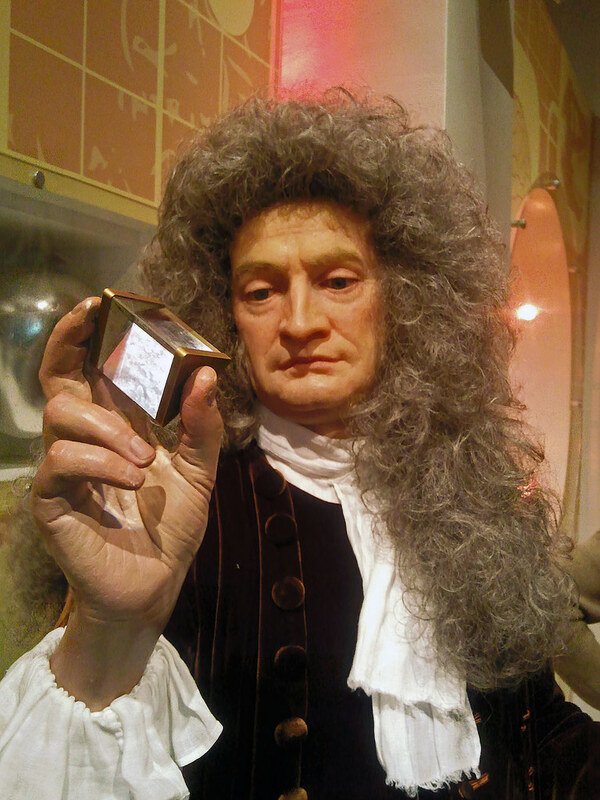 A wax statue of Isaac Newton, deceased. In Culture, Curiosity and Communication in Scientific Discovery, scientist Nigel Sanitt develops an empirically-informed, highly interdisciplinary, and richly holistic account of scientific progress and discovery. By drawing upon a vast range of historical and contemporary sources, Sanitt provides important, original insights to understand the nature of scientific reasoning and how it is practised. The book contains a useful introduction in which Sanitt highlights the focal points of his project and 15 short chapters in which he further develops his positive proposal (the idea that the foundations of science are built on sand and that scientific theories are frameworks we use to model nature). The book also considers how meaning is created in science and argues that science is deeply grounded in questions. In the first part of this critical notice I briefly summarise the book’s content. I then turn my attention to one of the most important theoretical tensions underlying it: the relationship between science and philosophy. I investigate this tension, critically assess the claim that philosophy is dead (Hawking, 2010), and in agreement with Sanitt conclude that a synergetic relationship between science and philosophy is not only desirable but also mutually beneficial. In chapters 1 and 2, Sanitt sets up the scene and looks at the role of truth in science (pp.2-6). He then goes on to discuss the function (prediction) of scientific theories (pp. 18-22) and their search for invariance (pp. 25-26). Sanitt also aptly reviews recent progresses in philosophy of science (pp.7-14) and convincingly argues that the foundations of science are built on sand. Let me notice here that the philosophical grounding of this latter set of ideas could have been enriched by discussing the work of Poincaré, Duhem, Lakatos and Feyerabend. In chapters 3 and 4, Sanitt discusses two theories [the integrationist theory of meaning defended by Harris (1981); and the theory of problematology pioneered by Meyer 2014)] that play a pivotal role in the development of his book. In particular, the former (pp. 41-43) provides Sanitt with the conceptual palette for the latter, which he uses to argue that science is an answer-generating dynamic enterprise (p.53). Chapters 5 and 6 focus on the idea that scientific theories are frameworks, networks with links and nodes (p.70), that we use to model nature. Here Sanitt gives the mathematical background to describe these networks using graph theory (pp.72-79). Chapter 7 focuses on scientific communication and looks, in particular, at how scientists interact with the media, the public, the politicians, with scientific organisations, and with each other (pp.82-84). While the need for more public engagement is stressed, the picture that emerges is one where scientists are often forced, by lack of research funding, ‘to actively engage with all these actors in outreach, lobbying, publicity, and policy briefing’ (p.85). This highlights the political, economical and socio-cultural dimension of contemporary scientific practice, which – it is argued- may threaten the independence of science. The central chapters of the book focus on the relation between science and literature (ch. 8), science and religion (ch. 9), science and art (ch. 10), and science and history (ch.11). Particularly interesting is chapter 10 where Sanitt looks at whether beauty (understood as Pythagorean harmony) can play a role in science (pp.105-107) and points out that many scientists were also successful artists (e.g. Feynman), musicians (e.g. Einstein, Plack, Heisenberg), or writers (e.g. Hoyle, Oppenheimer, Snow). Chapters 12 looks at the relation between science and culture. Here Sanitt demonstrates that science -as an intellectual and practical pursuit- is deeply rooted and inexorably tied in with our culture (p.121). He also cogently argues for the crucial importance of science in our society (p.122). Chapter 13 focuses on artificial intelligence and on consciousness (p.131). Sanitt claims that in explaining these phenomena, ‘separating out meaning, thinking, embodiment, perception and decision making from each other does not work’ (p.135). He thus seems to endorse, albeit not stated, a view (Clark 1998) that involves mind, body and environment as direct and equal partners in the making of human cognitive behaviour. In chapter 14 Sanitt looks at the relation between science and ethics. He reviews philosophical works on moral and ethical behaviour (pp.137-139), discusses examples of misconduct and professional malpractice in science (pp.141-142), and calls for the development of more rigorous enforcement measures to fight them (p.143). Chapter 15 focuses on the relation between science and education, discusses gender anomalies in science (p.151) and calls for innovations (adoption of ebooks, contextualisation of textbooks) in educational practices (pp.152-153). In chapter 16 Sanitt summarises what he has achieved in the book (pp.155-160) and concludes by condemning the idea that philosophy and science should be separated. He writes: ‘a lack of critical thinking skills leads to intellectual impoverishment and in the end, to poor science. There are many universities that include philosophy courses in their undergraduate science curriculum – this is to be encouraged’ (p.162). Having described the contents of the monograph, I now briefly turn to what I believe is the most interesting theoretical tension underlying it; the relation between science and philosophy. The relation between science and philosophy is intricate and highly complicated, and is one that I can only start touching upon here. Roughly speaking we can say that until perhaps the 19th century, there was no real distinction between scientists and philosophers, and many of the greatest scientists were also great philosophers. Newton’s masterpiece, Philosophiae Naturalis Principia Mathematica (Newton, 1687/1999) is imbued with philosophical assumptions and is a paradigmatic example of this deep relation. The gap between science and philosophy started to widen at the beginning of the last century when scientific specialisation drove a wedge between the two disciplines (Philipp, 1957). The gap became even more prominent over the last 50 years or so with the advent of the age of hyper-specialisation. On the one hand, with the development of new technological breakthroughs, many scientists started to amass enormous amounts of empirical data (especially in disciplines like neuroscience, physics, and psychology) often forgetting (sometimes deliberately ignoring) the theoretical interpretation of such data; on the other hand, many philosophers failed to understand such developments and retreated to their ivory towers into the study of human affairs, leaving the study of nature to natural scientists and often deliberately refusing any interaction with them (this process is brilliantly summarised by Snow 1959/2012). There were remarkable exceptions on both sides, of course. Einstein’s work (1935) demonstrated that there is a genuine interaction between science and philosophy. Heisenberg once said ‘my mind was formed by studying philosophy, Plato and that sort of thing’ (Buckley and Peat, 1996, p.6). Russell (1914) argued that the difference between philosophy and science is of the degree not of kind. Dewey (1938/1991) asserted that the roots of philosophy and science are the same. Poincaré (1905) and Duhem (1908/1991) spent their whole lives developing a ‘scientific philosophy’. There are also numerous examples in the history of science that shows this deep mutual dependence and profound interaction. For example, Kepler and Sommerfeld were both inspired by Pythagorean ideas in developing their models of the harmonies of the solar system and of the atom (de Haro, 2013). Next, however, I focus on the development of quantum mechanics and discuss a key moment in its history that shows how physical progress crucially depended on asking the right philosophical questions. The discussion of this case study demonstrates that the philosophical debate that took place during those years acted as a positive, driving force that pushed the development of science further. In 1927, conflicting views on quantum physics started to crystallize. At the 5th Solvay conference in Brussels, Heisenberg declared quantum mechanics to be a ‘closed theory, whose fundamental physical and mathematical assumptions are no longer susceptible of any modification’ (Bacciagaluppi and Valentini, 2009, p. 437). With that assertion, Heisenberg voiced the feelings and the convinctions of many of his colleagues (among them Bohr, Pauli, and Dirac) also present at the conference. Einstein, however, did not agree with Heisenberg. He believed that the so-called Copenhagen interpretation of quantum mechanics – the view that Heisenberg was indirectly defending —had philosophical implications (such as the lack of determinacy in physical quantities and events) that seemed undesirable. Thus in 1935, with some of his colleagues (Podolsky, and Rosen), Einstein developed a famous thought experiment (known as EPR), which demonstrated the entanglement of two particles located at long distances and implied faster-than-light interactions. Since this explicitly contradicted Einstein’s theory of relativity, quantum mechanics had to be an incomplete theory and the Copenhagen interpretation had to be wrong. With this thought experiment Einstein wanted to arrive at a theory that fullfilled some ontological desiderata. More precisely, he wanted the theory to accurately describe the real world while incorporating the requirement that physics should be independent of the observer. While the study of paradoxes has always played an important role in physics, the formulation of the EPR paradox required the development of a neat philosophical stance about the principles and methods that were deemed to be appropriate and valuable for the development of the theory. Thus, this example paradigmatically shows that Einstein’s quest was philosophical in character and therefore that philosophical ideas indeed can play a major role in the development of scientific theories. Recently, however, Stephen Hawking declared (2010) the official ‘death’ of philosophy (for similar arguments see also Weinberg, 1992 , for a review of similar arguments see Kerr, 2018). Commenting on the nature of reality, Hawking wrote: ‘traditionally these are questions for philosophy, but philosophy is dead. Philosophy has not kept up with modern developments in science, particularly physics. Scientists have become the bearers of the torch of discovery in our quest for knowledge’ (Hawking 2010, p. 5). To be fair to Hawking, his remark seems to be about the current status of philosophy. It does not seem to be a claim about philosophy as a discipline and including all its history (as some critics of Hawking have recently argued). Also, when Hawking made that provocative claim, he probably referred to just metaphysics, the branch of philosophy that aspires to the most general understanding of nature – not to all philosophy. Now, I don’t want to enter here the discussion of whether all metaphysics should be naturalised (Ladyman et al., 2007). But having given Hawking the fairest possible understanding, I would still like to point out that his view of contemporary philosophy is partial, misleading, and ill-informed. This is because Hawking, when making that claim, ignored that nowadays there is lots of philosophy born out of metaphysics (philosophy of mind and cognitive science, philosophy of psychology, philosophy of neuroscience) that is deeply grounded in the sciences. He also ignored that there are many areas of research in philosophy (e.g. embodied cognition) that are inspired by scientific findings and that, in turn, guide scientific research. More importantly, he ignored that there are large groups of empirically-informed philosophers (I am one of them, for what that matters), who are increasing leaving their armchairs and ivory towers to work in close contact with scientists. Here Sanitt, who is himself a scientist but one that is not crusading against philosophy, does (unlike Hawking) a good job in recognising the fundamental importance of philosophical thinking to scientific reasoning. He writes: ‘I believe that science research at the highest level is adversely affected by the lack of philosophical awareness and training for scientists’ (p.59). Sanitt also recognises that ‘there are limits to the denial of philosophical import to science, which results in paralysis’ (p. 14) and goes on to condemn the process that has led to the fragmentation and alienation of science from philosophy: ‘science has been separated horizontally…from within by too much specialisation…..This separation … is also vertical in the sense that science is seen as a completely different kind of entity from areas dubbed the arts or literature. This kind of separation is just as damaging and just as specious’ (p.14). The picture that Sanitt draws is therefore one where philosophy directly interacts with science on a number of different levels. In particular, Sanitt believes: i).that the way science is taught and practised should not be immune from philosophical speculations (p.12); ii).that philosophical theorising should play an instrumental role in raising the right questions (pp.52-55) that science aims to answer (pp.64-70); and iii).that philosophy should help scientists interfacing with the wider, non-academic, world (pp. 80-86). Sanitt sees in this collaboration the roots of scientific success and thus argues, pace Hawking, that a synergetic partnership between science and philosophy is highly desirable. Culture, Curiosity and Communication in Scientific Discovery shines a light through the mist of scientific research. It convincingly makes the case that science is driven by questions that often have a philosophical nature. The book also demonstrates that the foundations of science are built on sand and that the search for truth is always elusive. The volume is thorough and does not at all shy away from conceptual complexity – quite the opposite. The impressive sheer wealth and breadth of information presented makes the volume worthwhile. The prose is engaging, the style is captivating, the argument is coherently presented. Structurally, however, I question the author’s decision of having 16 short chapters, each containing a lot of different subsections (often trying to summarise complex debates in a page or two). Occasionally, this results in having half-backed subsections (e.g. ‘free will’, p.99), which do not fully capture the nuances and the complexities of the issues debated. This sometimes interrupts the flow of the argumentation and prevents the reader from understanding the main point being made. Nevertheless, this is a much needed (and welcomed) contribution to the field. A must read for scientists and philosophers, and more generally, for all those who are interested in understanding how scientific theories are constructed and verified. Bacciagaluppi, Guido, and Antony Valentini. Quantum theory at the crossroads: reconsidering the 1927 Solvay conference. Cambridge, UK: Cambridge University Press, 2009. Buckley, Paul, and F. David Peat. Glimpsing reality: Ideas in physics and the link to biology. Toronto, ON: University of Toronto Press, 1996. Clark, Andy. Being there: Putting brain, body, and world together again. Cambridge, MA: MIT Press, 1998.
de Haro, Sebastian. “Science and Philosophy: A Love-Hate Relationship.” arXiv preprint arXiv:1307.1244 (2013). Dewey, John. Logic, the theory of inquiry. Carbondale: IL, Southern University Press, 1938/1991. Duhem, Pierre Maurice Marie. The aim and structure of physical theory. Vol. 13. Princeton, NJ: Princeton University Press, 1908/1991. Einstein, Albert, Boris Podolsky, and Nathan Rosen. “Can quantum-mechanical description of physical reality be considered complete?.” Physical review 47, no. 10 (1935): 777. Hawking, Stephen. The grand design. London, UK: Random House Digital, Inc., 2010. Ladyman, James, Don Ross, David Spurrett, and John Collier. Every thing must go: Metaphysics naturalized. Oxford, UK: Oxford University Press, 2007. Newton, Isaac. The Principia: mathematical principles of natural philosophy. Berkeley: CA: University of California Press, 1687/1999. Poincaré, Henri. Science and hypothesis. Science Press, 1905. Russell, Bertrand. Our Knowledge of the External World as a Field for Scientific Method in Philosophy. Chicago, IL and London, UK: Open Court Publishing, 1914. Snow, Charles Percy. The two cultures. Cambridge, UK: Cambridge University Press, 1959/2012. Weinberg, Steven. Dream of a final theory, the scientist’s search for the ultimate laws of nature. New York, NYC: Vintage Books, (1992). Williams, Damien. “Deleting the Human Clause: A Review of Ashley Shew’s Animal Constructions and Technological Knowledge.” Social Epistemology Review and Reply Collective 7, no. 2 (2018): 42-44. 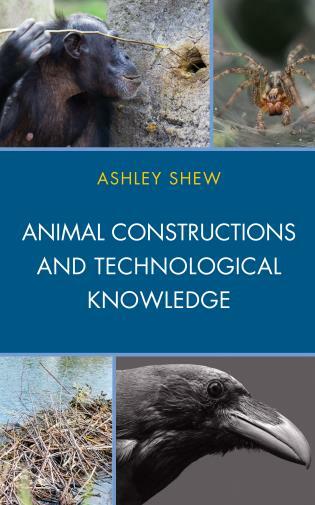 Animal Constructions and Technological Knowledge is Ashley Shew’s debut monograph and in it she argues that we need to reassess and possibly even drastically change the way in which we think about and classify the categories of technology, tool use, and construction behavior. Drawing from the fields of anthropology, animal studies, and philosophy of technology and engineering, Shew demonstrates that there are several assumptions made by researchers in all of these fields—assumptions about intelligence, intentionality, creativity and the capacity for novel behavior. Many of these assumptions, Shew says, were developed to guard against the hazard of anthropomorphizing the animals under investigation, and to prevent those researchers ascribing human-like qualities to animals that don’t have them. However, this has led to us swinging the pendulum too far in the other direction, engaging in “a kind of speciesist arrogance” which results in our not ascribing otherwise laudable characteristics to animals for the mere fact that they aren’t human. Shew says that we consciously and unconsciously appended a “human clause” to all of our definitions of technology, tool use, and intelligence, and this clause’s presumption—that it doesn’t really “count” if humans aren’t the ones doing it—is precisely what has to change. [relies] greatly on quotations…because the study’s authors describe crow tool uses and manufacture using language that is very suggestive about crows’ technological understanding and behaviors—language that, given my particular philosophical research agenda, might sound biased in paraphrase. In a chapter 6 endnote, Shew continues to touch on this issue of bias and its potential to become prejudice, highlighting the difficulty of cross-species comparison, and noting that “we also compare the intelligence of culturally and economically privileged humans with that of less privileged humans, a practice that leads to oppression, exploitation, slavery, genocide, etc.” In the conclusion, she elaborates on this somewhat, pointing out the ways in which biases about the “right kinds” of bodies and minds have led to embarrassments and atrocities in human history. As we’ll see, this means that the question of how and why we categorize animal construction behaviors as we do has implications which are far more immediate and crucial than research projects. 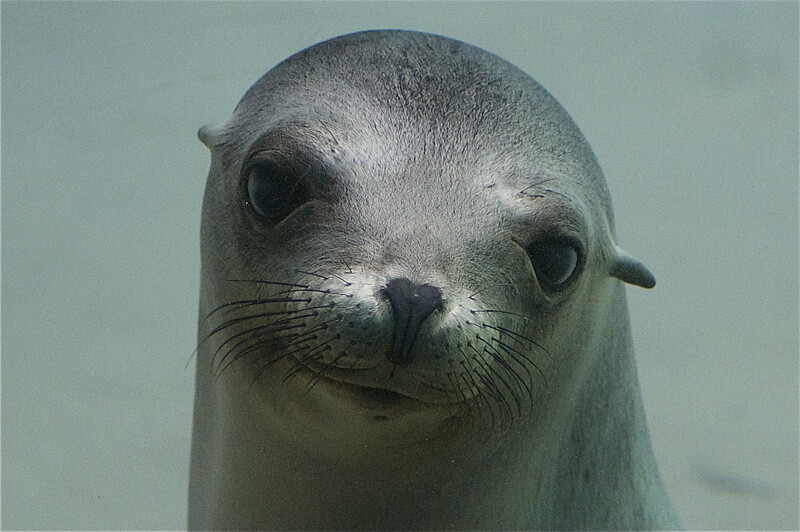 The content of Animal Constructions is arranged in such a way as to make a strong case for the intelligence, creativity, and ingenuity of animals, throughout, but it also provides several contrast cases in which we see that there are several animal behaviors which might appear to be intentional, but which are the product of instinct or the extended phenotype of the species in question. According to Shew, these latter cases do more than act as exceptions that test the rule; they also provide the basis for reframing the ways in which we compare the behaviors of humans and nonhuman animals. If we can accept that construction behavior exists on a spectrum or continuum with tool use and other technological behaviors, and we can come to recognize that animals such as spiders and beavers make constructions as a part of the instinctual, DNA-based, phenotypical natures, then we can begin to interrogate whether the same might not be true for the things that humans make and do. If we can understand this, then we can grasp that “the nature of technology is not merely tied to the nature of humanity, but to humanity in our animality” (emphasis present in original). Using examples from animal studies reaching back several decades, Shew discusses experimental observations of apes, monkeys, cetaceans (dolphins and whales), and birds. Each example set moves further away from the kind of animals we see as “like us,” and details how each group possess traits and behaviors humans tend to think only exist in ourselves. Chimps and monkeys test tool-making techniques and make plans; dolphins and whales pass hunting techniques on to their children and cohort, have names, and social rituals; birds make complex tools for different scenarios, adapt them to novel circumstances, and learn to lie. In the book’s conclusion, Shew suggests placing all the products of animal construction behavior on a two-axis scale, where the x-axis is “know-how” (the knowledge it takes to accomplish a task) and the y-axis is “thing knowledge” (the information about the world that gets built into constructed objects). When we do this, she says, we can see that every made thing, be it object or social construct (a passage with important implications) falls somewhere outside of the 0, 0 point. This is Shew’s main thrust throughout Animal Constructions: That humans are animals and our technology is not what sets us apart or makes us special; in fact, it may be the very thing that most deeply ties us to our position within the continuum of nature. For Shew, we need to be less concerned about the possibility of incorrectly thinking that animals are too much like us, and far more concerned that we’re missing the ways in which we’re still and always animals. Forgetting our animal nature and thinking that there is some elevating, extra special thing about humans—our language, our brains, our technologies, our culture—is arrogant in the extreme. In Animal Constructions, Shew has built a toolkit filled with fine arguments and novel arrangements that should easily provide the instruments necessary for anyone looking to think differently about the nature of technology, engineering, construction, and behavior, in the animal world. Shew says that “A full-bodied approach to the epistemology of technology requires that assumptions embedded in our definitions…be made clear,” and Animal Constructions is most certainly a mechanism by which to deeply delve into that process of clarification. Shew, Ashley. Animal Constructions and Technological Knowledge. Lanham, MD: Lexington Books, 2017. On page 95, Shew makes brief mention various instances of octopus tool use; more of these examples would really drive the point home. Cochrane, Ryan. “Beyond the Mind-Body Stalemate: An Interview with Stuart Kauffman.” Social Epistemology Review and Reply Collective 3, no. 4 (2014): 7-10. Ryan Cochrane (RC): Since the 17th Century and Newton, we have been locked into Reductive Materialism. What are the implications for the Mind -Body problem?